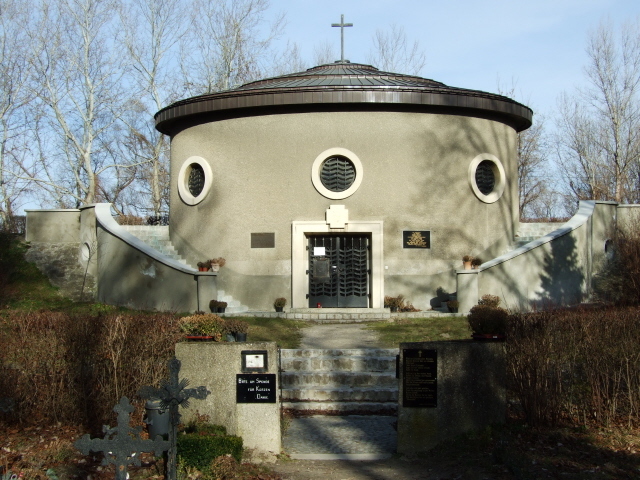 This is a very small cemetery ("Friedhof der Namenlosen" in German) on the outskirts of Vienna, but quite a special one: the dead buried here were washed up by the nearby river Danube. Most had drowned in it, many had committed suicide. Not all graves are nameless, a few tell fragments of a story (never a normal one), but all graves have a uniform simple design. It's a magical place that combines the grim with the romantic. It's a shame that it's so far out and next to an industrial estate. Still, it's well worth the effort going there. 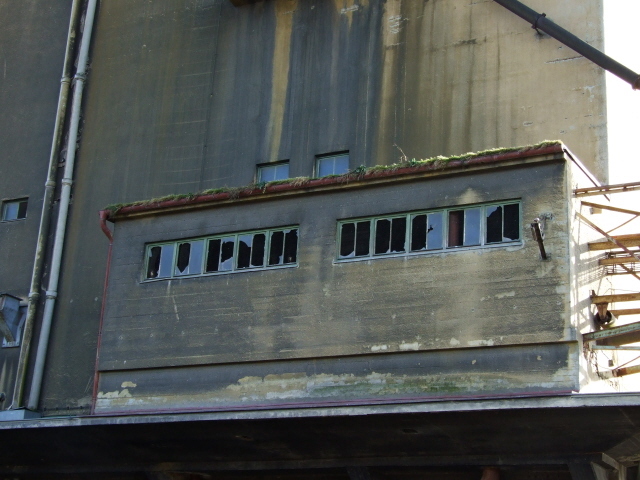 More background info: Before the nearby harbour (Alberner Hafen) on the edge of Vienna was built, this spot was a place where the currents of the Danube frequently washed up corpses floating in its waters. Since 1840 such grim finds were given a semi-decent burial here – on average almost one a month. 478 dead in total were buried here until 1900. In 1900, a new cemetery was inaugurated next to the old one a bit further inland – and it was later protected by encircling ramparts. 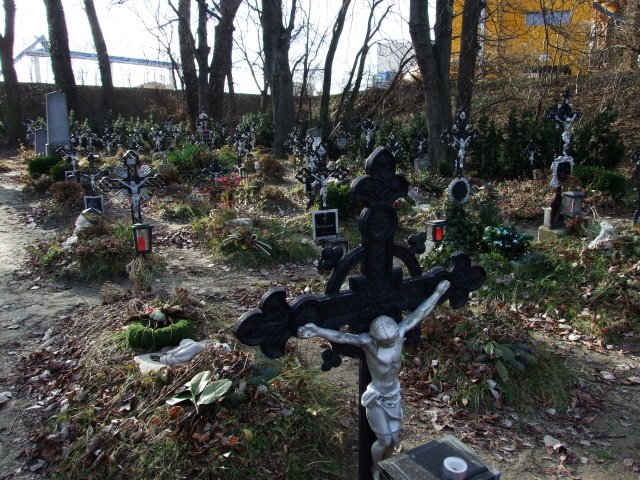 Thus, while the old cemetery was abandoned – and is completely overgrown today – the newer plot could take over the role of the old, without getting regularly flooded. Slowly it too filled with more nameless dead. It's apparently the only place in the world that is entirely dedicated to the dead of a river. However: increasingly identification became possible after all, so that between a third and a half of the graves in the "new" cemetery today do have names – and thus aren't strictly in keeping with the name of cemetery as a whole. 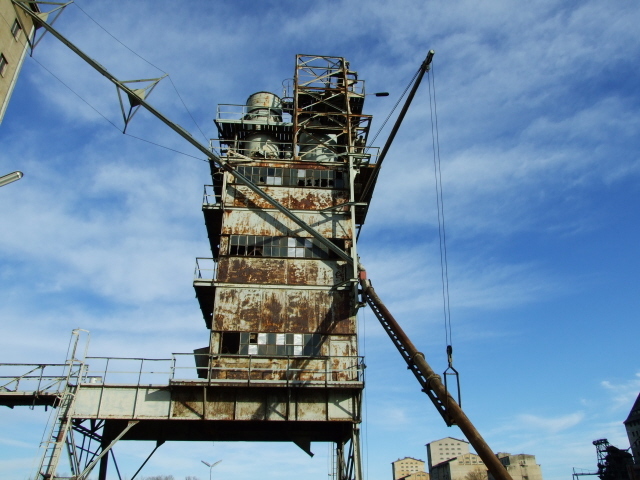 In 1939, a new dock and huge grain silos were built next door – and the currents of the Danube changed so that from 1940 no more dead were washed up here. 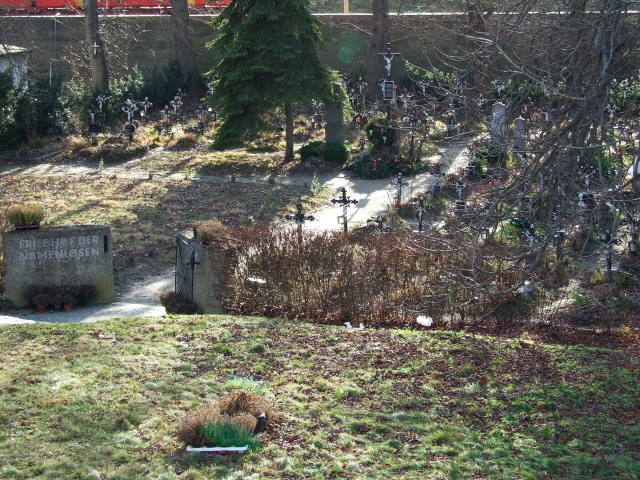 Still, the cemetery was kept and preserved – mainly thanks to one individual: Josef Fuchs, previously volunteer gravedigger until 1939, who carried on looking after the place until his own death in 1996. His son (Josef Fuchs jr.) has since taken over the task. 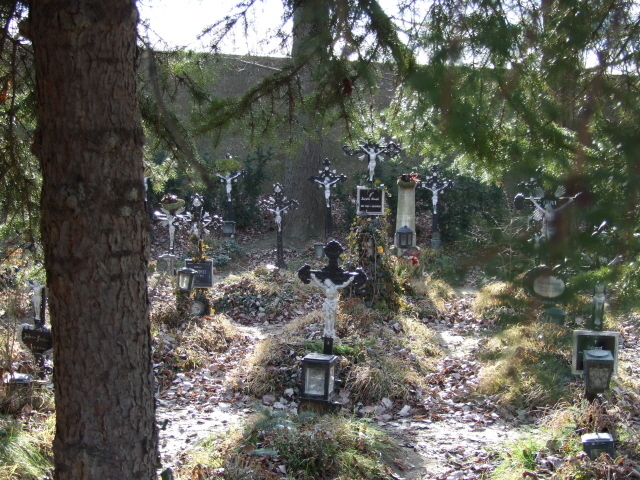 Unfortunately, the cemetery occasionally also receives unwelcome guests: it has repeatedly been vandalized (e.g. crosses toppled over) … what it could possibly be that makes people direct such destructive mindlessness towards such a little tragic cemetery of all places, will forever be beyond my grasp. Much more aptly, the romantic aura of the place has also attracted poets, authors and filmmakers. Most prominently, the cemetery was featured in the 1995 movie "Before Sunrise", which was largely shot in Vienna. Numbers of visitors have since gone up. So it's not only for dedicated dark tourists but also for film location tourists! What there is to see: There are actually two cemeteries here – or rather there WERE two. The older one was right by the river and the Danube's often violent waters flooded it frequently. Therefore it was eventually given up. 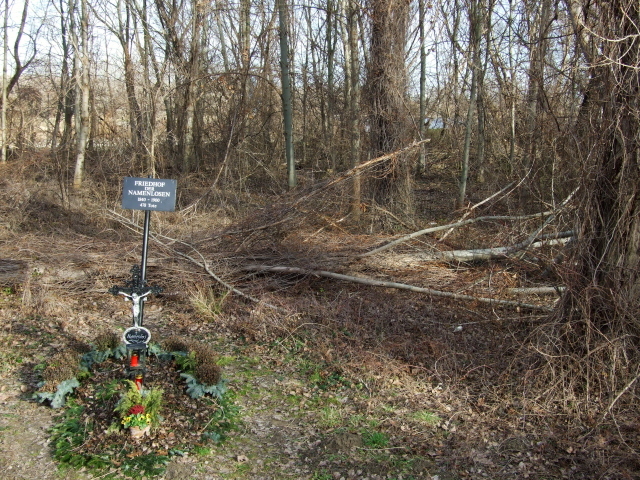 Not much of it remains today and the area is overgrown (with tall trees) – but a separate memorial and cross marks it by the roadside. 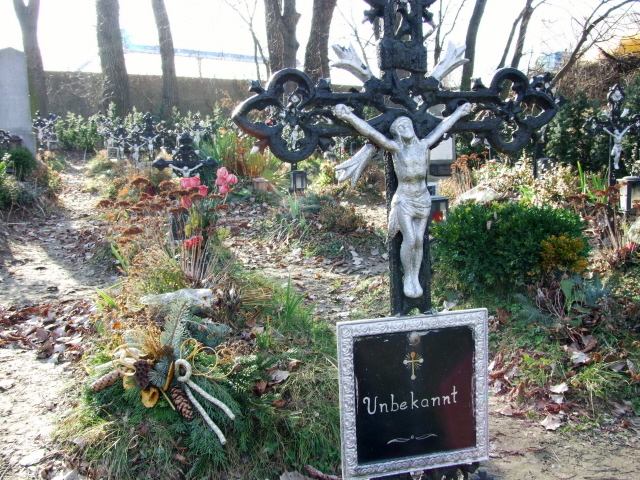 The majority of graves are indeed, if at all, marked as "namenlos" ('nameless') or "unbekannt" ('unknown'). 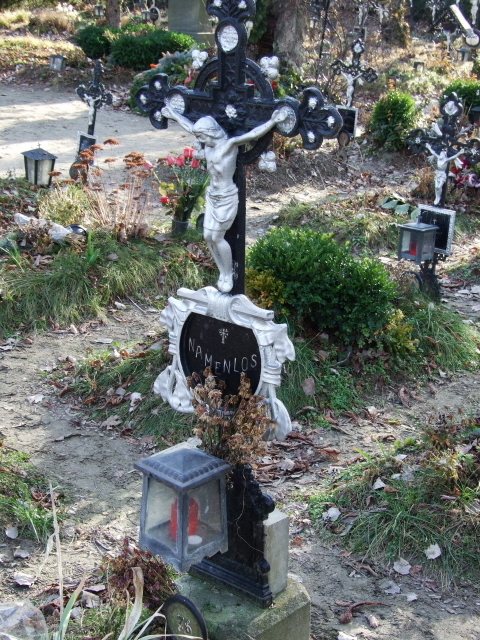 And they all bear a simple cast iron black cross with a silvery Jesus figure and an iron-and-glass lantern (usually containing a red candle). 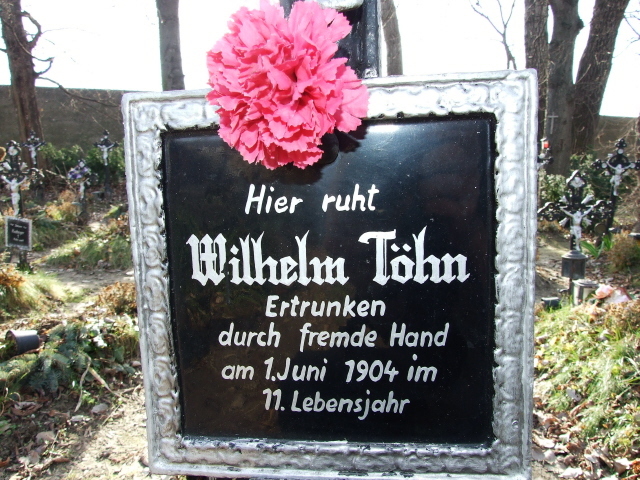 The one grave that stands out most is that of one Wilhelm Töhn, which further specifies him as: "ertrunken durch fremde Hand […] im 11. Lebensjahr" – which very roughly (there's no direct equivalent) translates as 'drowned by the hand of a stranger at the age of 11'. 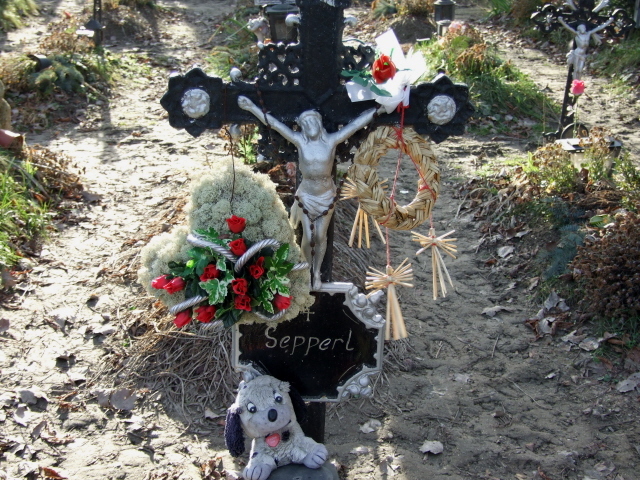 That is to say: this is the grave of a victim of a child murderer! There are also a couple of proper headstones instead of the usual iron cross – and one of them marks the grave of probably the only person ever "voluntarily" buried here: the former landlord of the nearby inn. Surprisingly many of the graves are adorned with small wreaths and/or real or plastic flowers. And you can find little tokens of remembrance that people must have left here. 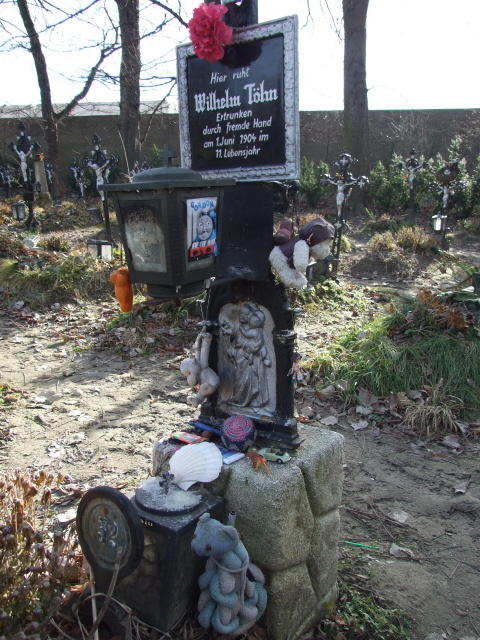 Young Wilhelm Töhn obviously attracts the most – I even found sweets, a little toy car and a plastic lion by the cross – clearly left here quite recently. Other graves may attract just a single item – e.g. a weather-beaten fluffy toy or, at one grave, an old woollen glove (or did someone just lose the one glove here?). The mystique and almost gothicy appeal of this little gem of a cemetery is difficult to convey in words. You really have to see and feel it for yourself. Location: on the very eastern edge of Vienna's district of Simmering in Albern; the cemetery forlornly sits on a hidden patch wedged in between an industrial/harbour estate, the Alberner Hafen, and the Danube's southern riverbank (and its dyke). 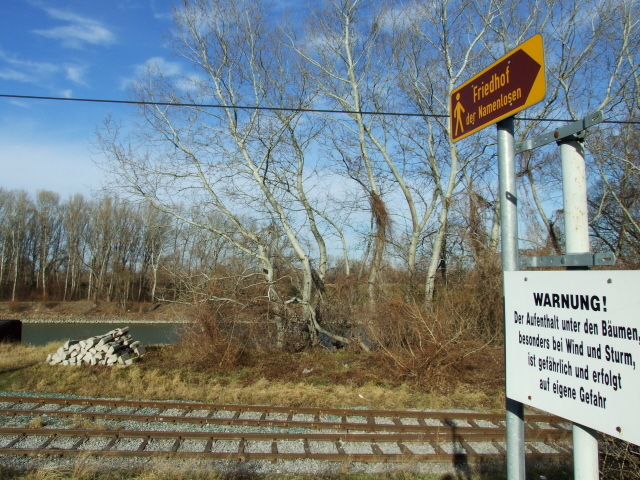 Access and costs: remote location on the very fringe of Vienna's city limits, and tricky to get to; but free. Details: It's a long way out right on the edge of the city. Technically it's part of the Simmering district (11th district) but it's actually closer to Schwechat (and its airport) than to the cityscape of Vienna. If you don't have a car, you can get there by public transport – but connections are few and far between so you'll have to time your visit well. Bus 76A goes from Enkplatz all the way to Alberner Hafen, which is a short walk away from the cemetery. At Enkplatz the U3 metro provides easy, fast and frequent access to/from the city centre. To find the bus stop: when exiting the metro station you'll have to walk down and cross the main street, Simmeringer Hauptstraße, and go to the corner of Krausegasse. The bus is normally scheduled every 30 minutes or hourly (or even less) and the journey takes between ca. 20 and 25 minutes. The connection can be somewhat confusing, as the journeys marked as going directly all the way to the harbour stop are very infrequent indeed (only mornings and afternoons weekdays, and only in the early afternoon on Sundays). However, you can use the bus times in between too, only you'll have to wait a while on the bus at the "terminus" at Zinnergasse/Kaiserebersdorfer Str before it carries on via Alberner Hafen. At least that was so when I last went. To make sure try and work out the online timetable service at wienerlinien.at. In any case: do make a (mental) note of the RETURN departure times at the Alberner Hafen stop, and make sure you're back in time so you don't have to wait for ever for the next bus – or worse still get stranded there altogether if you miss the last one. Believe me, it's not the kind of area where you want to get stranded in the evening! From the bus stop at Alberner Hafen it's a short walk along the industrial estate/harbour … it may not look like it could be the right (and legal) way, but it is. If you go on Sunday (recommended. despite there being fewer buses) at least there won't be much going on here and it's safe(ish) to just wander leisurely. 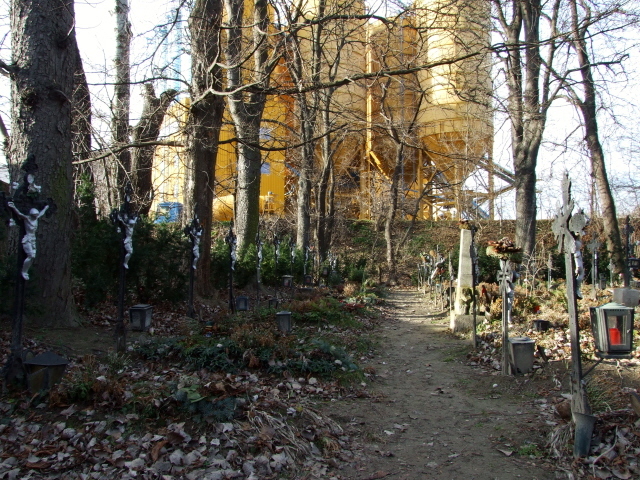 Once you get to the end of the industrial complex – past a more modern, ugly yellow silo something (which tarnishes the area's appeal quite a bit), the cemetery is signposted "Friedhof der Namenlosen". 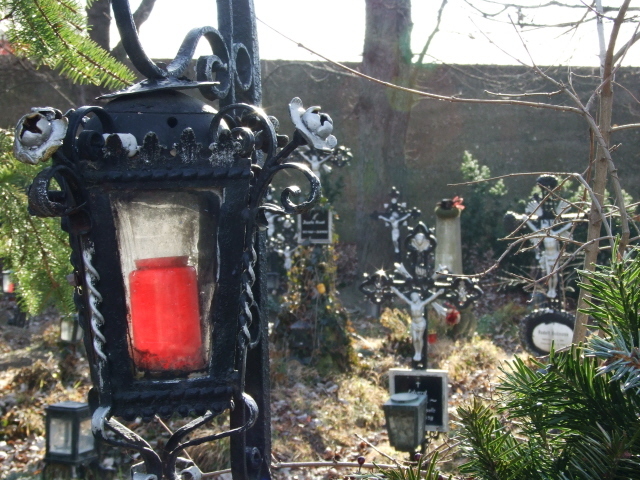 The cemetery can be visited freely at all times. However, I'd highly recommend going on a Sunday, because then the industrial estate by the docks next door to the little cemetery (which already visually overpowers it somewhat) will at least be quiet, and the walk along the silos and other industrial buildings will be safer for a pedestrian to negotiate. Time required: depends more your personal mood (and perhaps the weather) than anything else. I spent about half an hour there – but I saw visitors lingering only five minutes or so. Getting there certainly takes up by far the largest amount of time required for seeing this little marvel. 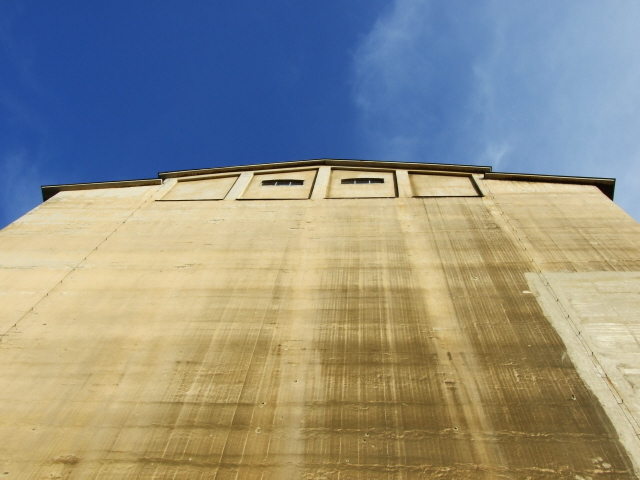 Combinations with other dark destinations: none – unless you have an interest in mid-20th century industrial architecture … I at least found the huge grain silos built from 1939 onwards quite captivating to behold too. Otherwise it's better to return to Vienna itself for more dark exploring. 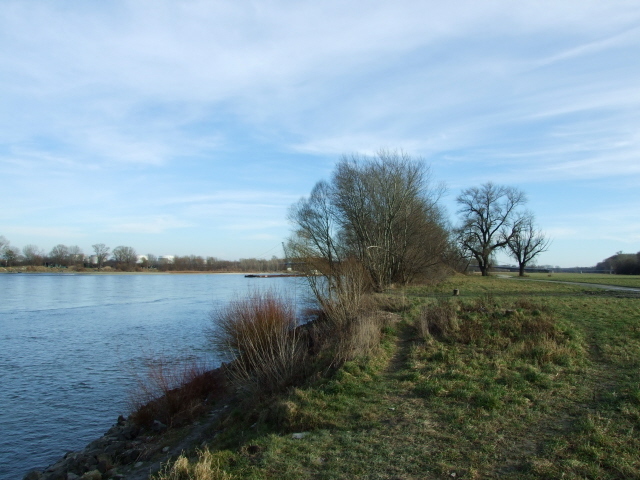 Combinations with non-dark destinations: Being right on the edge of Vienna and by the Danube, a visit to the cemetery of the nameless could also be taken as an invitation to combine it with a riverside walk. Just beyond the cemetery, the road ends at a seasonal restaurant (closed in winter) which is aptly named "Zum Friedhof der Namenlosen". On the strip by the riverbank, a complex of wooden fishermen's huts makes for a bit of old world river atmosphere. Beyond, the riverside walk leads out towards the east. Otherwise it's best to head back to the centre of Vienna.